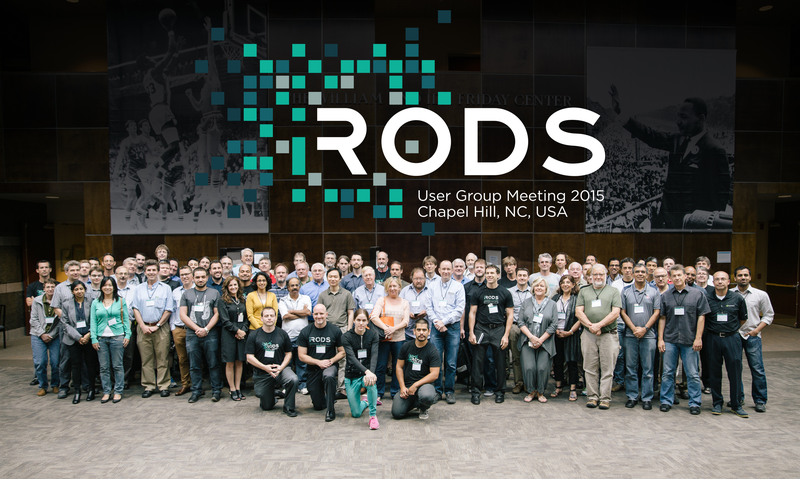 iRODS User Group Meeting 2015 is in the books, and it was a big success! This was our largest User Group Meeting yet: We had ninety-one registrants come to Chapel Hill, representing forty-eight different organizations and eight countries. We also had more than 40 attendees for the first official iRODS training course, and we are using the terrific feedback that we've received to plan additional training sessions in the future. The presentation slides are now posted at https://irods.org/documentation/articles/irods-user-group-meeting-2015 and https://irods.org/documentation/articles . Over the coming weeks, we will review videos of selected talks and make them available at the same site. A huge thank you to all of the presenters and attendees, our Consortium members, the staff of the Friday center, and the iRODS Consortium staff. And a special thank you to our three sponsors, Seagate, DDN, and EMC for helping us host this year's User Group Meeting and evening reception.